While our main focus at One Stop Equine Shop is top quality Waffle Weave English Non-Slip Girths, we proudly offer other quality horse tack items. 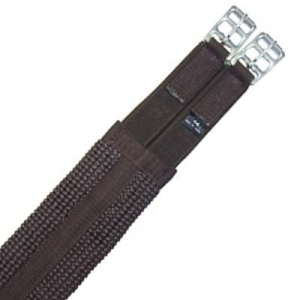 Waffle weave PVC girth with elastic & roller buckles on one end. Brown. Treat your horse with a new premium girth and go for a ride today.